I don’t know that we always look to iOS to see what’s next in Android app development, but when it comes to apps like Hangouts and Gmail from Google, we certainly have more than once (calls in Hangouts, anyone?). 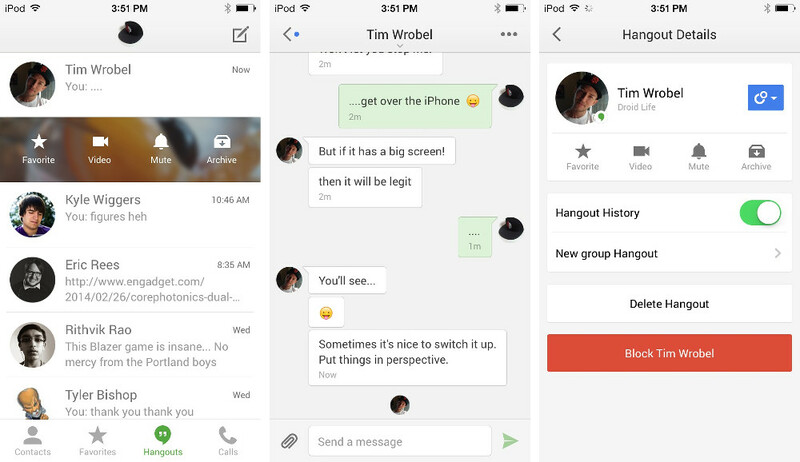 Take for example today’s Hangouts overhaul that just went live through iTunes. The update introduces a brand new UI to the app that makes it “optimized for iOS 7.” I can’t exactly say that I’m a fan of the 4-category paginated approach, but some of the new features would be more-than-welcomed on Android. 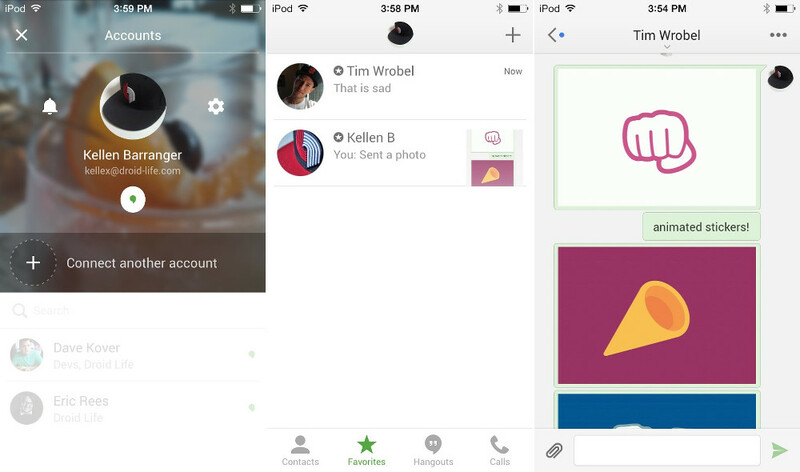 In version 2.0 of Hangouts on iOS, users can send animated stickers, favorite conversations so that you aren’t always looking at an endless list of them, send 10-second video clips, and swipe across conversations to get actionable items like Favorite, Video, Mute, and Archive. There are deeper controls over specific contacts as well. Tough to tell if or when we’ll see any of these new features on Android, but I’d be surprised if 10-second video clips, animated stickers, and favorites don’t make their way over at some point. The UI setup can stay on iOS, though. Amazon in Talks With Music Labels to Launch Streaming Music Service?